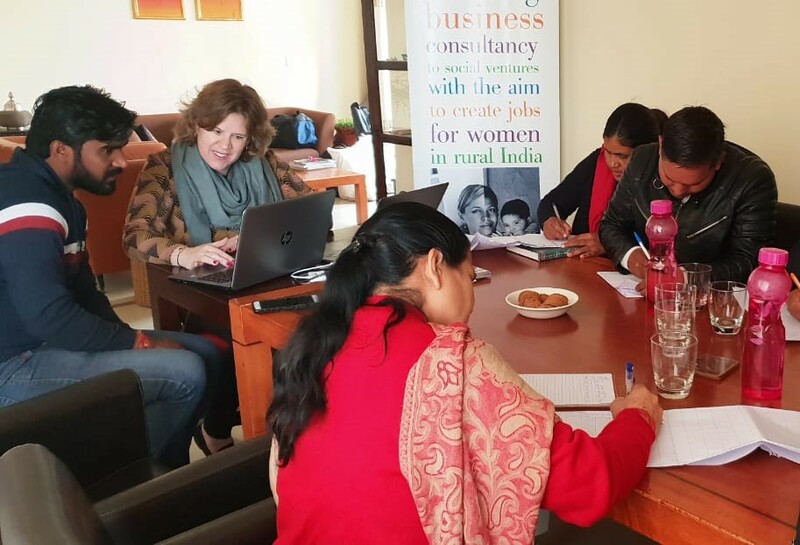 On a cold December morning six people from social enterprises Unnati and SBMA came all the way from Uttarkashi in the Himalayan mountains to the Women on Wings office in Gurgaon. They had come by bus for a three day-workshop on marketing communication and social media. Usually the Women on Wings team travels to the partner’s office to moderate a workshop. Since the Himalayan region in this time of year is hard to travel, it was decided the teams would take the journey to Gurgaon instead. Also so they could buy food and household appliances that are hard to find in Uttarkashi during the winter months. The Women on Wings team was impressed to learn what journey the team had taken to participate in the workshop. Obviously these were very dedicated and committed people who choose to live in a harsh region to make a difference to the lives of the farmers that grow crops for Shri Bhuvneshwari Mahila Ashram (SBMA). SBMA is currently working in more than 2,400 villages in 7 districts of Uttarakhand state. Among the many development programs it runs, SBMA also works on food security, agriculture-based livelihood promotion and gender empowerment. It is engaged with more than 10,000 – largely female – farmers through 500+ farmer’s producer groups, 600+ micro finance groups and 16 Cooperatives. Unnati is one of the 16 Cooperatives. Of the 16 Cooperatives, some have graduated to business enterprises, like Unnati. SBMA and Women on Wings collaborate in growing three of these business enterprises so more farmers can be engaged.